Removals Unlimited offers a specialist piano moving service. Our team is fully trained to handle any piano sizes - we have in-transit insurance and we always make sure to successfully complete your piano move with the greatest care to your instrument. 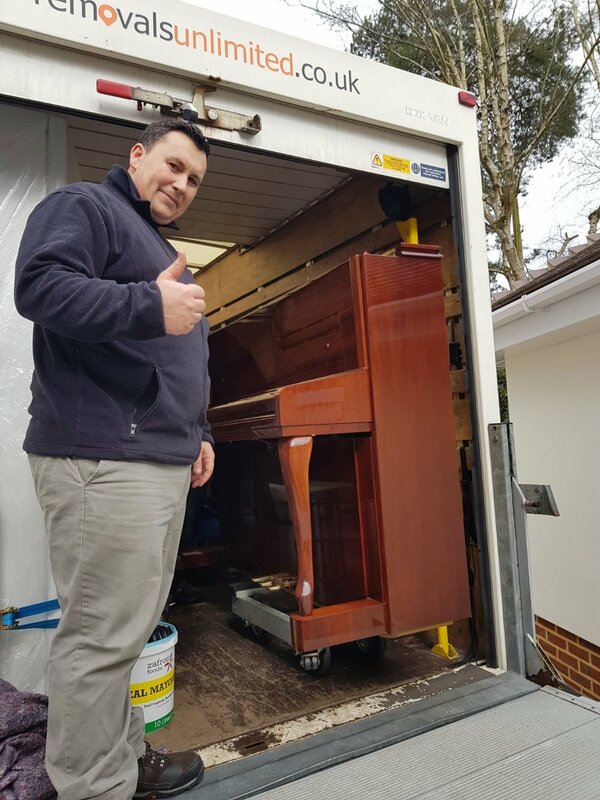 We also work with storing specialist should you need to park your piano within a caring and safe environment for a few months. Removals Unlimited owns all the relevant tools in order to professionally move and care for your prized possession. You can trust us to take as much stress as possible out of your piano moving day.